Are you running late before you even leave the house in the morning? No wonder. 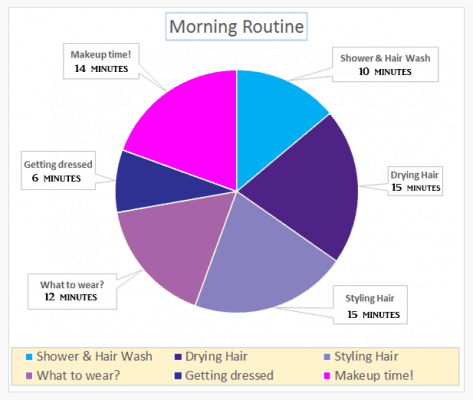 On average, a woman’s beauty routine consumes at least 70 minutes every morning. Adopting a few simple strategies can reduce the amount of time you spend in front of the mirror and help you take back your morning! You could actually enjoy your morning time, sip your coffee, center yourself, do some yoga, or – gasp! – eat breakfast. Unreal, right? Check out these easy tips to help you get out the door in time.